Join us for a special CASA Cocktails in celebration of National Volunteer Month! 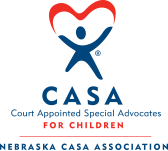 All CASA Volunteers will be treated with appetizers, a beverage, and a special gift bag in appreciation of your tireless advocacy for kids in foster care. If you are interested in learning more about becoming a CASA Volunteer, this is the perfect opportunity to meet current volunteers and staff and be inspired by their advocacy. Stop in anytime between 5:00-7:00 pm. We look forward to seeing you!